Comments: Brand New! New dust jacket. Shrink wrapped! Harvey Shapiro flew 35 missions as an Air Force radio gunner during World War II and was decorated for his service. 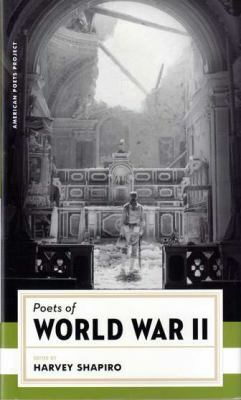 He was editor of The New York Times Book Review, and his many books of poetry include National Cold Storage Company (1988), Selected Poems (1997), and How Charlie Shavers Died and Other Poems (2001)Shapiro, Harvey is the author of 'Poets of World War II' with ISBN 9781931082334 and ISBN 1931082332.